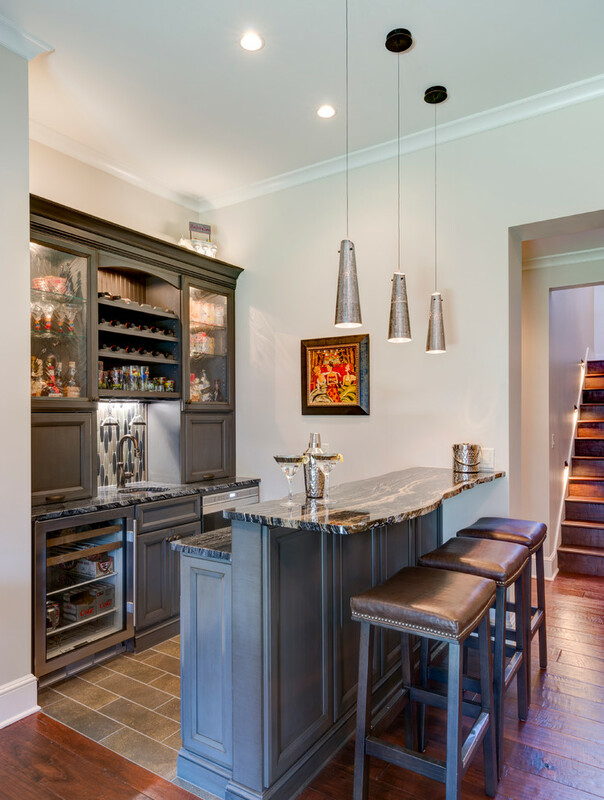 A home bar can be an additional space for you to enjoy some drinks and entertainment. 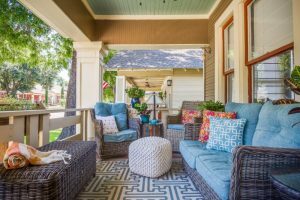 You can invite your guests or clients to your home bar to have a good conversation. 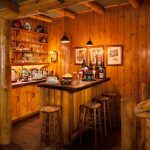 To make a good home bar setup, you need a bar cabinet, bar seating area with nice countertop, lighting, and some bar stools. The bar cabinet is used for keeping some bottles of your drinks, fruit bowls or plates, a sink, and glassware. 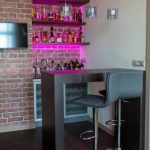 Although you only can make a small home bar, it still can be so enjoyable if you design a good bar setup. Here are some home bar setup ideas that will inspire you to add your comfy bar in your home. 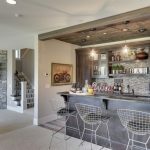 This inspiring large single-wall home bar with a glass and wood cabinet, elegant grey backsplash, ceiling accent, mounted bar table, unique Bertola bar stools with seat pads, and industrial Edison 1 light glass shade ceiling pendant lights. 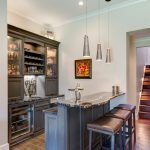 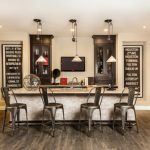 This home bar comes with dark wood cabinet, cream island bar, Tolix bar stools, and unique pendants. 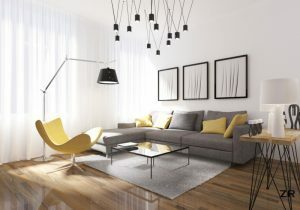 For decoration, you can put a bull skull on the wall and sterling bronze structural orb on the table. 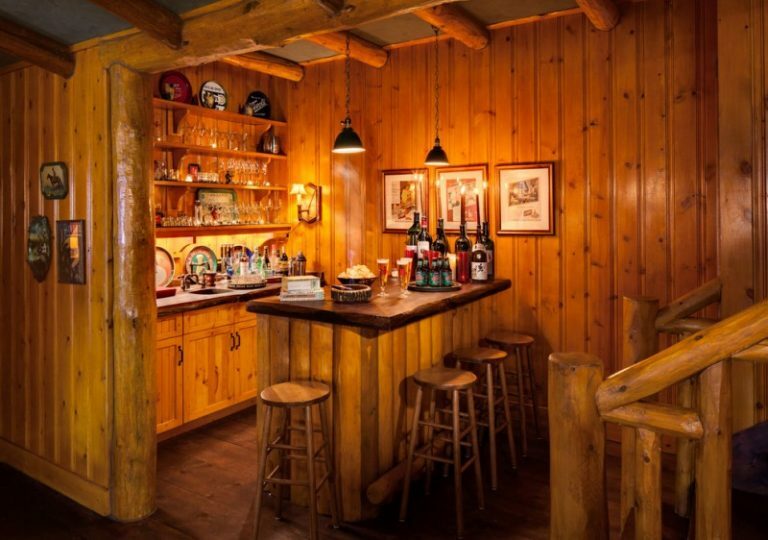 The wooden paneling of this log home bar gives cozy feeling into your bar. 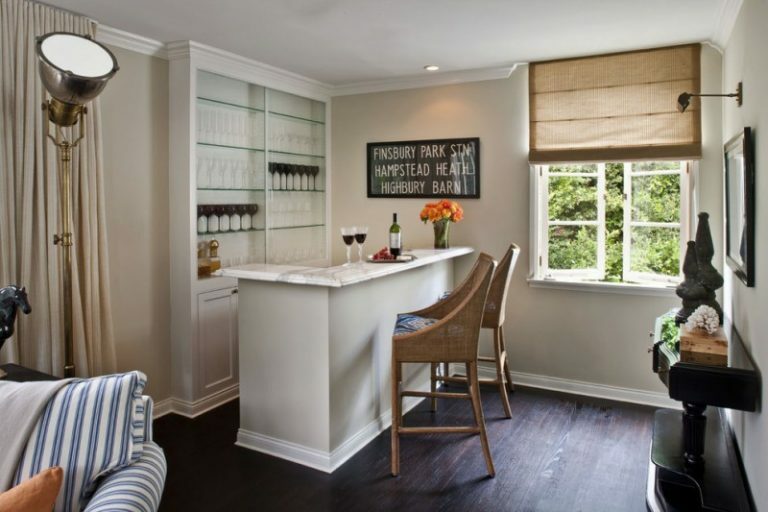 You can get wooden bar table, low bar cabinet, floating shelves, wooden bar stools, and Hudson valley light pendant. 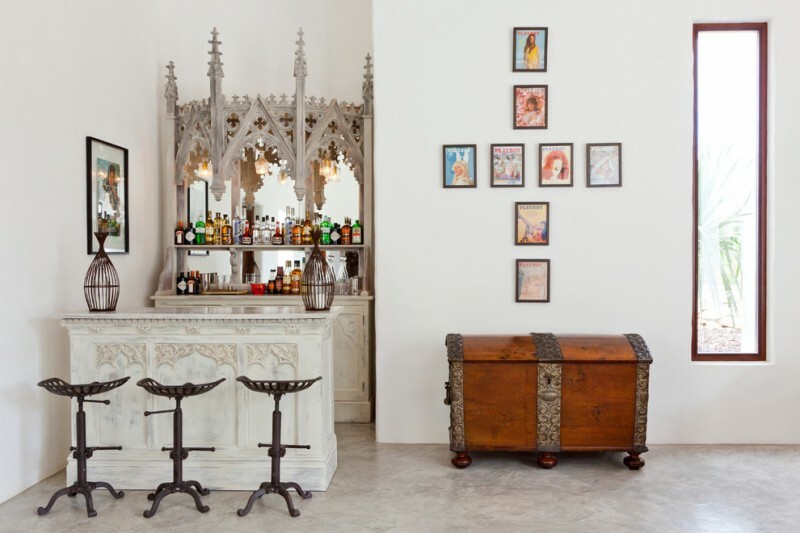 This bar is located at the bottom of the stairs. 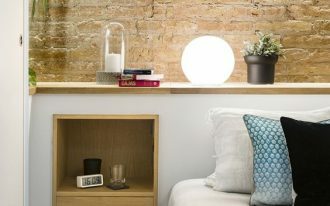 You can have round bar table with trendy bar stools, wooden bar cabinets with glass, red tiles and backsplash, and white pendants. 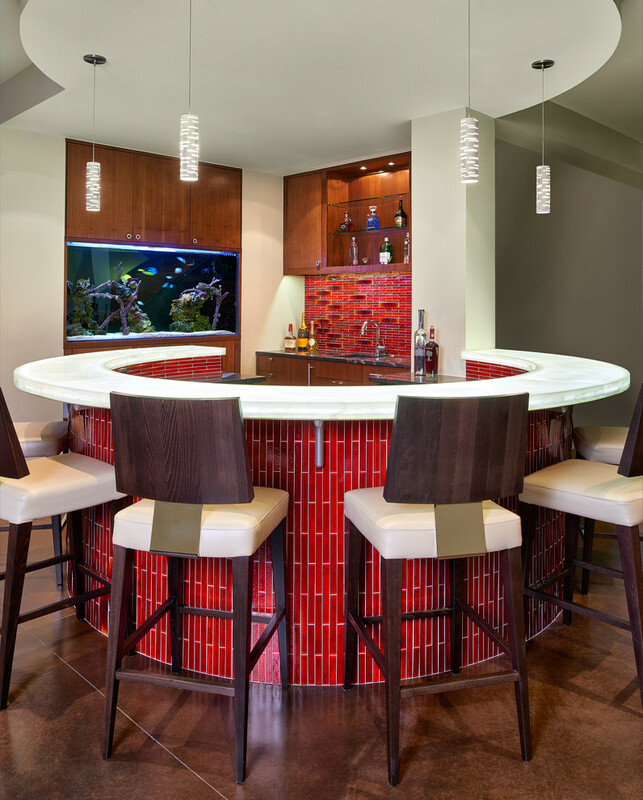 You can enjoy the incorporate fish tank behind the bar while drinking. 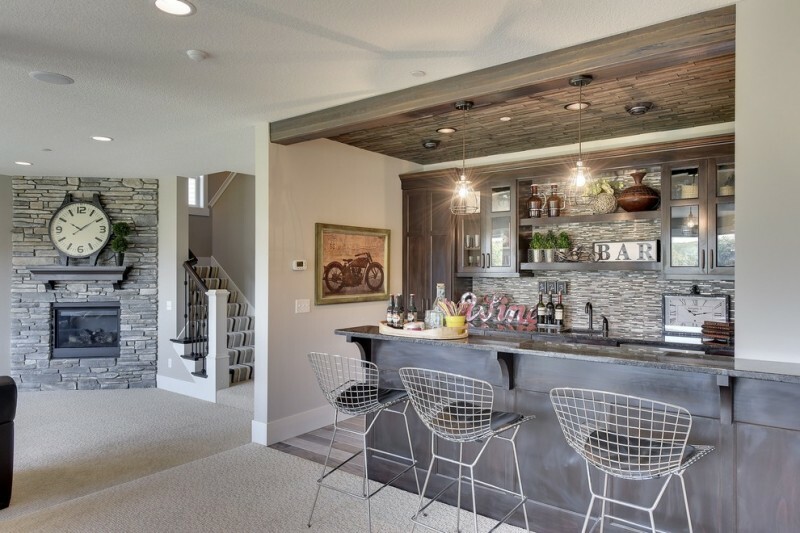 This small bar idea provides open shelves, minimalist bar table, and bar stools. 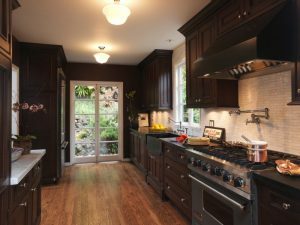 For the lighting, you can have teak glass rubbed bronze water cube glass mini pendant lights. 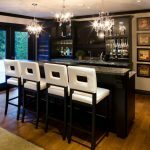 Get an elegant home bar with black bar cabinet, black island with granite countertop, white cushioned barstools, and royal cut crystal chandeliers. 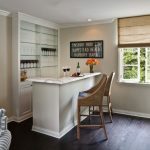 This home bar does not need for symmetry because the wine fridge is on the let. 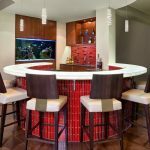 You can arrange L-shaped seated home bar with a narrow rear bar cabinet and traditional barstools in the corner of a room. 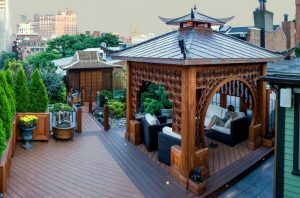 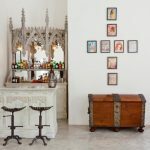 You can use mirrors and gothic architecture for your home bar, it will give a unique and beautiful bar look. 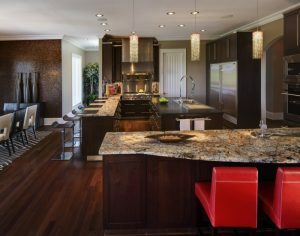 The bar cabinet setup will make the room more spacious. You can arrange a bar table and Victor industrial chic barstools to complete your home bar. 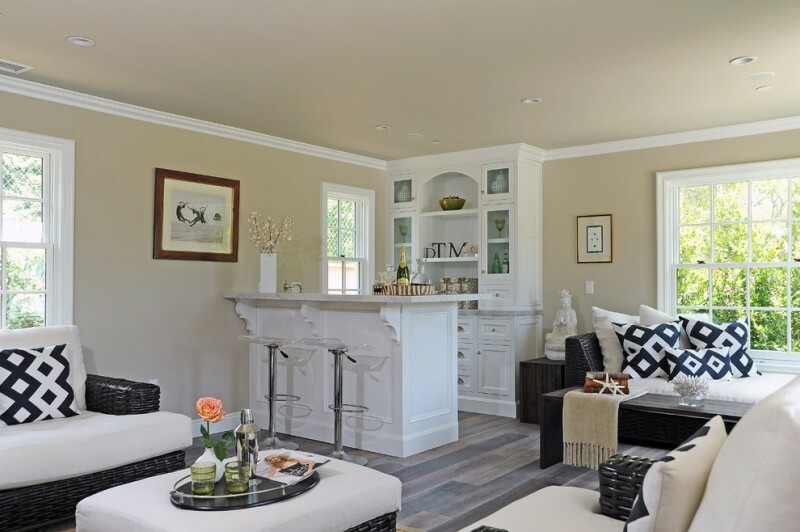 Arranging a white bar cabinet and island in the corner of your living room is a good choice. 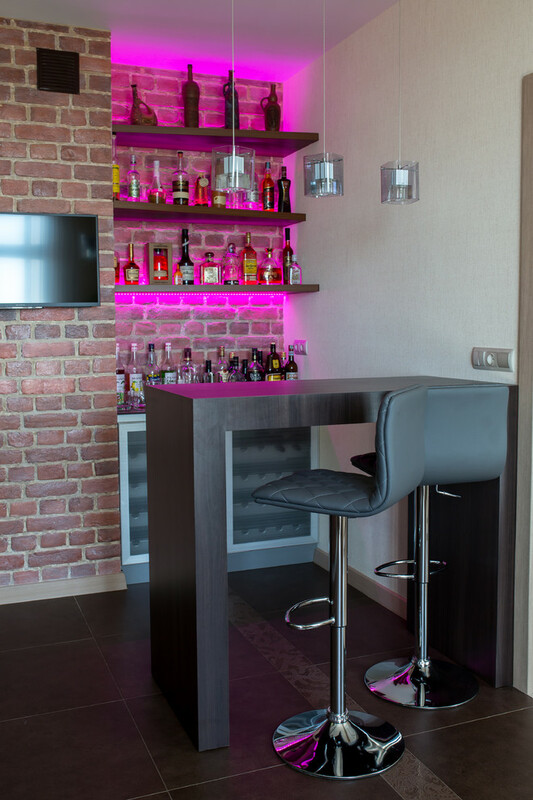 To complete the home bar setup, you can put transparent adjustable swivel bar stools. 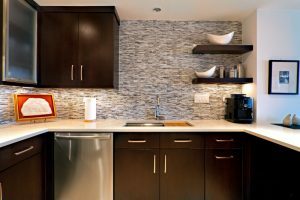 The gray bar cabinetry pairs perfectly with the two-level marble countertop, gray backsplash, brown duff backless bar stools, and pendants. 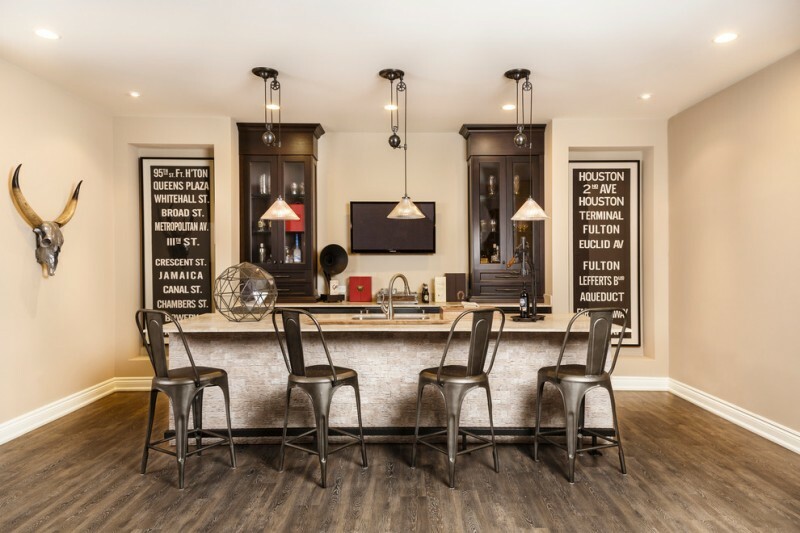 This bar is set on transitional tile to hardwood floor.